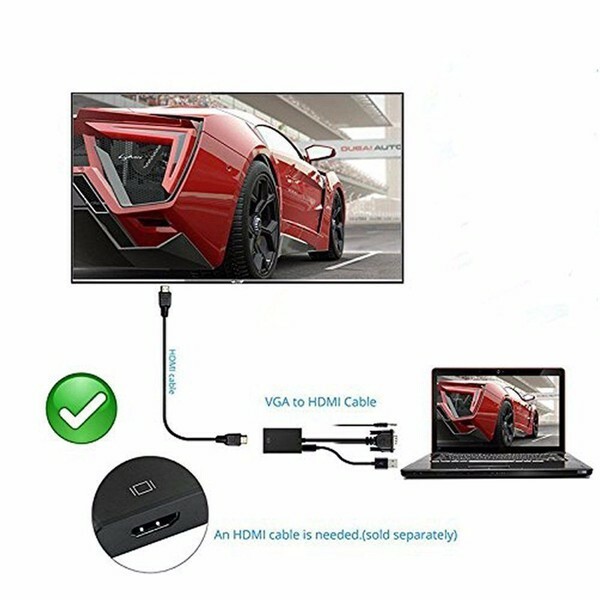 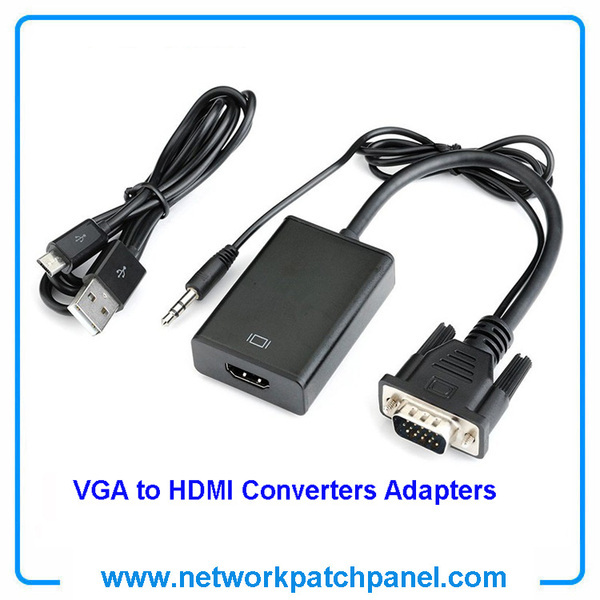 Note: This is VGA to HDMI Video Converter Adapter Cable, only for one way transfer VGA to HDMI, VGA end connect the your PC/ Laptop's VGA Port, HDMI connect the display device HDTV Monitor's HDMI port. 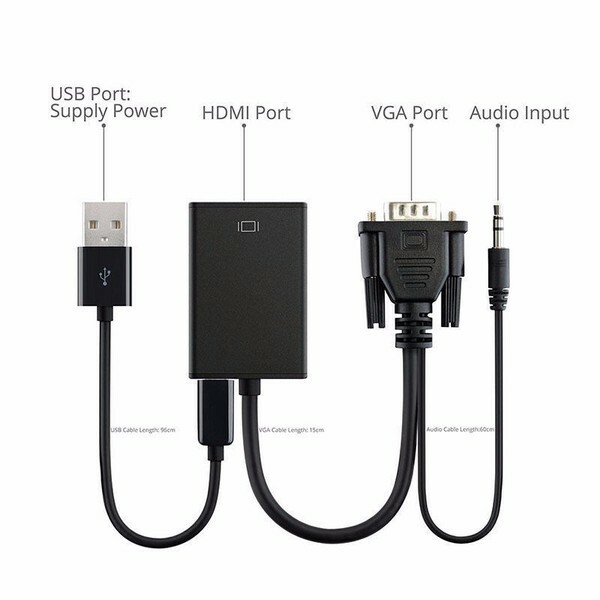 It is belong the blow turn into the high, and the HDMI output the audio need simultaneously connect the analog audio, the video output is the version of HDMI-1.3; It is only suitable for the device with VGA interface through connection HDMI HD indicator. The item has a gold plating plug terminal, and the included AV audio cable to cater for the different audio input. 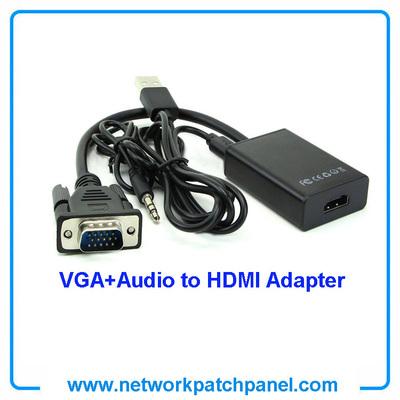 It is only suitable for the device upgrade with the VGA interface through connection HDMI HD indicator. 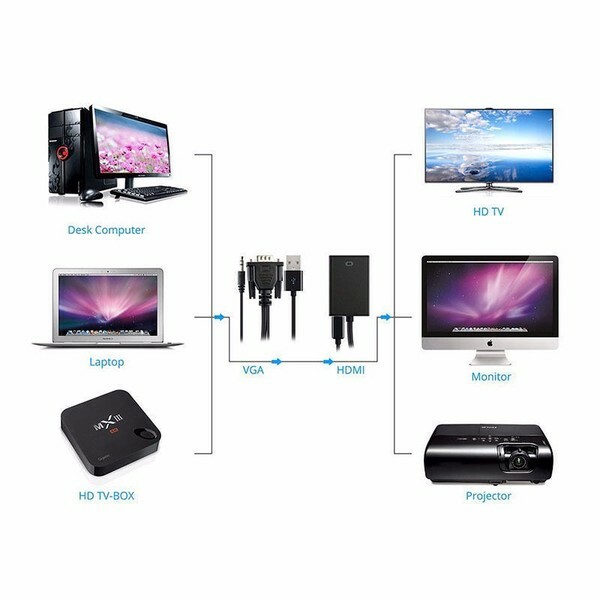 VGA analog video + analog audio signal input ; standard HDMI digital signal output. 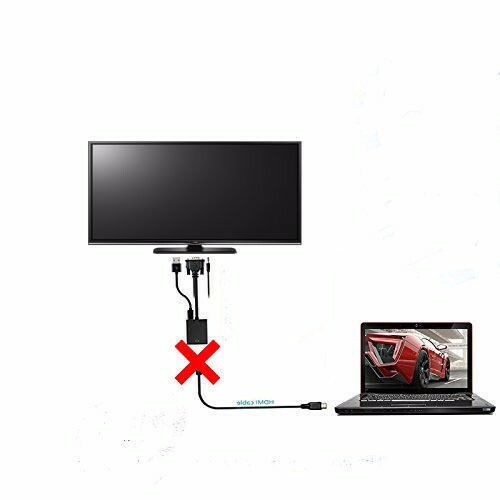 PC Computer, Notebook, DVD Player, Mac Book, ETC.